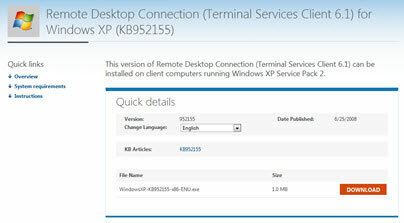 This page will provide the information that you need to utilize the new Secure Remote Desktop. This system will provide secure access to your workstation when not on the UCI network. 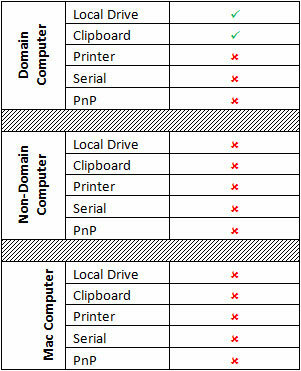 Below you will find a chart detailing what Remote Desktop features are available depending on whether you are on a UCI-managed (on the domain) workstation, non-UCI-managed (not on the domain) or a Mac computer. 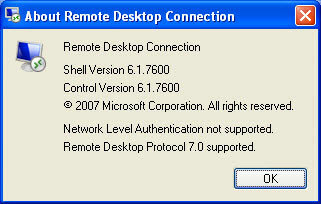 Open the Remote Desktop client and click on “Options”. Then click on the “Advanced” tab and then click “Settings…”. 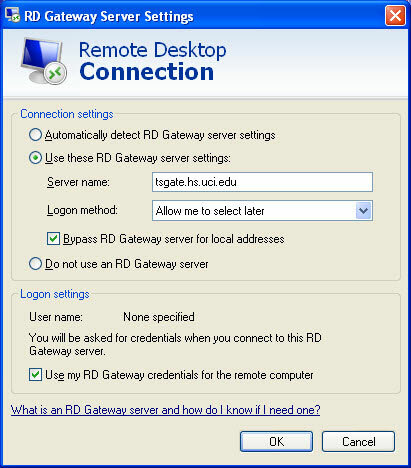 Select “Use these RD Gateway server settings:” (may also say “RT Gateway server settings). Important: Check the box “Bypass RD Gateway server for local addresses”. Important: Check the box "Use my RD Gateway credentials for the remote computer". Click “Connect” and you should be able to authenticate with and connect to your remote machine. Important: When asked to enter in your username, be sure to add HS\ in front of your id. 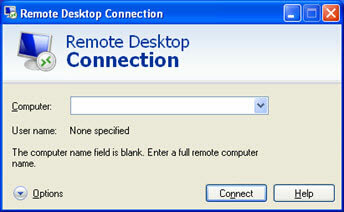 Open Remote Desktop and click on the computer icon in the upper left-hand corner. Then click on “Run” again. Follow any other prompts necessary to finish the installation. Reboot if necessary. If you only connect to one HS computer but frequently connect to machines on other domains, you will find that you need to remove the “tsgate.hs.uci.edu” server to be able to properly connect to your other computers. To work around this you can create a shortcut that connects directly to your HS computer without affecting the server settings for your other connections. 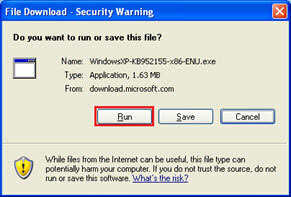 To do this, you need to save an .RDP file that has the correct into in it. Make sure you have followed the previous instructions and properly added the server into the advanced settings before proceeding. With the server information and computer IP address or server already set, click on “Options”. You should see the screen below. Click “Save As…” and give your .RDP file a name (such as UCI HS Connection in the example). Select your desktop and the destination for your .RDP file. 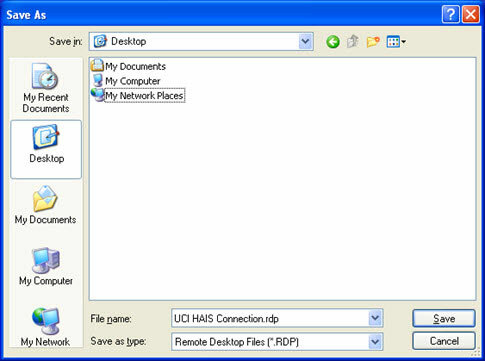 Under “File name:” enter the desired name for your .RDP file and click “Save”. Now just double-click your newly created file on the Desktop and authenticate as usual. 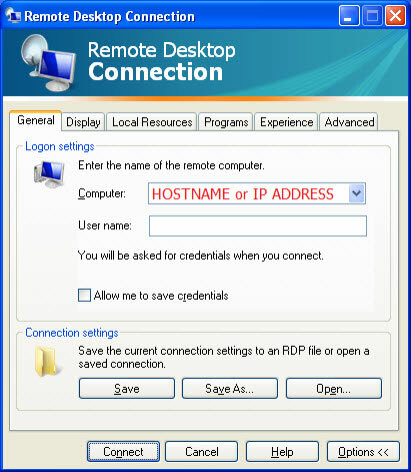 Now you can launch remote desktop using the old icon, remove the server settings that were setup previously and properly connect to your other computers. Because the remote session is now authenticating and routing through a secure server, is it normal that the connection may be a bit slower than before. This is expected behavior. Either you are attempting to remote into the wrong computer due to a typo in the hostname, or DNS has not updated. Check the spelling of your hostname and try again. If you still receive the error, try to remote in using your IP address instead (in the configuration steps, replace the HOSTNAME with your IP ADDRESS). If the problem persists contact the service desk. 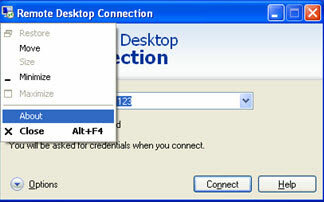 Depending on the workstation you are using to establish a remote connection, you may have limited access to some features. This is due to the upgrade in security and compliance. For a detailed list of the features available under any given circumstance please see Feature Availability. 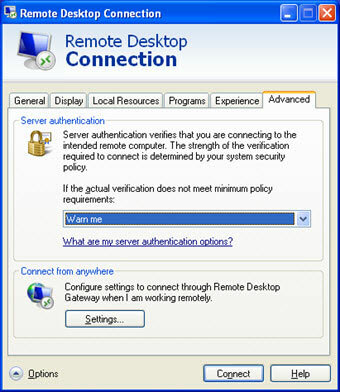 Please contact the HIS service desk at 714-456-3333 with any questions or problems related to Secure Remote Desktop.